Summary: Difference Between Hyperlink and URL is that most Web pages contain links. A link, short for hyperlink, is a built-in connection to another related Web page or part of a Web page. While every Web page has a unique address, which is called a URL (Uniform Resource Locator) or Web address. Most Web pages contain links. A link, short for hyperlink, is a built-in connection to another related Web page or part of a Web page. Links allow you to obtain information in a nonlinear way. That is, instead of accessing topics in a specified order, you move directly to a topic of interest. Branching from one related topic to another in a nonlinear fashion is what makes links so powerful. Some people use the phrase, surfing the Web, to refer to the activity of using links to explore the Web. A link can be text or an image. Text links may be underlined and/or displayed in a color different from other text on the Web page. Pointing to, or positioning the pointer on, a link on the screen typically changes the shape of the pointer to a small hand with a pointing index finger. Pointing to a link also sometimes causes the link to change in appearance or play a sound. The Web page contains a variety of link types, with the pointer on one of the links. 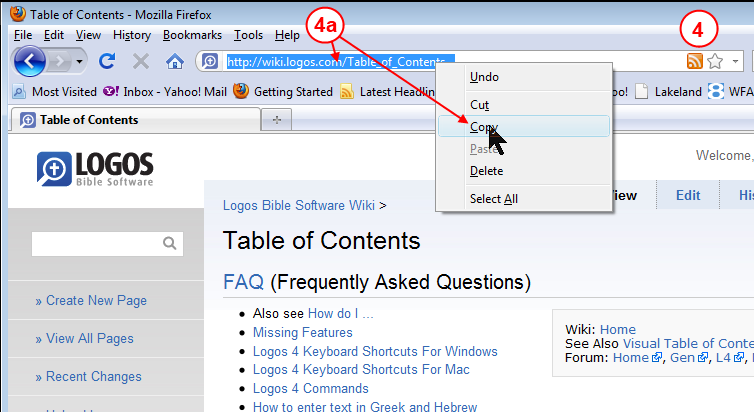 If you know the Web address of a Web page, you can type it in the Address bar at the top of the browser window. If you type http://www.nps.gov/grsm/planyourvisit/wildlifeviewing.htm as the Web address in the Address bar and then press the enter key, the browser downloads and displays the Web page shown in Figure 2-6.